Most of the chants were recorded in the shrine of the Ramakrishna Monastery at Trabuco Canyon, California. Selections include: the creation hymn of the Purusha Suktam; the Narayana Suktam; God in everything—the Isha Upanishad; Sri Krishna’s guidance on yoga, meditation, and illumination from the Bhagavad Gita; spiritual instruction from the Taittiriya Upanishad; and a dialogue on the source of affection from the Brihadaranyaka Upanishad. Most of the chants were recorded in the shrine of the Ramakrishna Monastery at Trabuco Canyon, California. The domed chamber adds resonance to the quality of these digitally re-mastered CD’s. 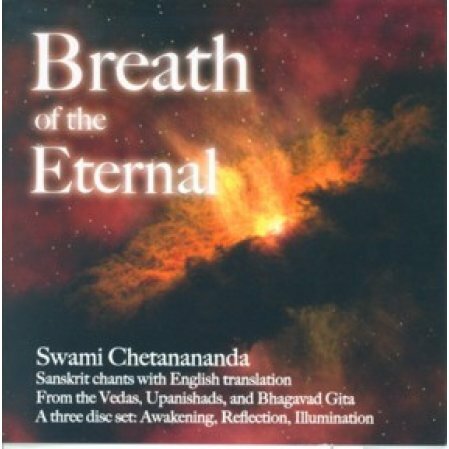 English translations are from the writing of Swami Nikhilananda and Swami Chetanananda. Total running time: 3 hours.